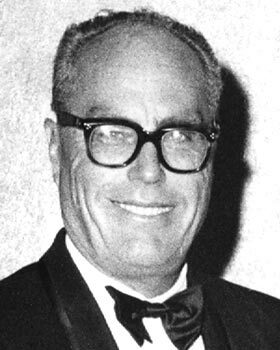 John Sturges was an American film director who specialised in action pictures, particularly Westerns. His forte was making vivid dramas about tough people facing challenging circumstances and he is best known for a string of classic Westerns including 'Bad Day at Black Rock' in 1955, 'Gunfight at the O.K. Corral' in 1957, and 'The Magnificent Seven' in 1960. There was no family connection to the director, Preston Sturges. He was born John Elliott Sturges on January 3rd, 1910 in the small town of Oak Park, Illinois. His family were well off and included a number of architects and lawyers. John grew up to love physical activity and won a football scholarship to Marin College in California. Whilst at college he developed his interest in the stage and theater and his first work experience was as stage manager for the local theater group, the San Rafael Players. His brother, who worked in the Art department of RKO, recommended John to the studio, and he began his movie career in 1932 working in the blueprint department. He moved quickly on to join his brother in the Art department where he learned to work with the Technicolor film process with the theatrical designer, Robert Edmund Jones. He was one of the few color specialists in Hollywood and in 1936 he was hired by David O. Selznick to work on 'The Garden of Allah', Marlene Dietrich's first movie in Technicolor. He continued gaining experience with RKO, working as film editor on a number of highly regarded movies such as 'Gunga Din' in 1939, 'They Knew What They Wanted' in 1940 and 'Syncopation' in 1942. During the Second World War Sturges served as Captain in the United States Army Air Corps where he directed over 40 training films and documentaries including co-directing with William Wyler a short movie 'Thunderbolt' in 1945, starring James Stewart, about the P-47 Thunderbolt fighter aircraft. After demobilisation in 1946 he returned to Hollywood and began his full directorial career with Columbia Pictures. His first film as director was the B-movie 'The Man Who Dared' in 1946. For the next three years he continued his apprenticeship, working exclusively on "B" pictures such as 'Alias Mr. Twilight' in 1946, and 'The Walking Hills' in 1949. They were movies designed to be shot on a 12-day schedule, and which became known as "12-day wonders". In 1949 Sturges joined MGM, then the pre-eminent movie studio and able to provide bigger budgets. His output continued to be B-movies of various genres such as 'Mystery Street' a film noir in 1950, thrillers, such as 'Jeopardy' in 1953 and Westerns such as '"Escape from Fort Bravo' in 1953. After six years, in 1955 he took the decision to become an independent movie maker and he immediately had his first major hit. 'Bad Day at Black Rock' was a triumph for Sturges. He directed the sometimes truculent Spencer Tracy and a cast of future Oscar winners in a tense and exciting Western with a modern theme of racial prejudice during the Second World War. It was one of the first movies to be filmed in widescreen Cinemascope and Sturges's reputation as an innovative film maker was established. He continued his successes with another fine Western in 1957, 'Gunfight at the O.K. Corral' starring Burt Lancaster and Kirk Douglas. In 1959 Sturges established an independent production company, releasing his movies through United Artists. Almost immediately he directed the biggest hit of his career. This story of a tiny Mexican village recruiting seven gunfighters to defend them against Mexican bandits was based on the 1954 Japanese film 'Seven Samurai'. Sturges created a fine Western despite several personality clashes between Yul Brynner and Steve McQueen. Sturges was going through a highly successful period and in 1963 he made another classic action movie, the war film, 'The Great Escape', again starring Steve McQueen. In between his successes Sturges had a number of failures, such as 'The Old Man and the Sea' in 1958 and 'Never So Few' a 1959 war film with Frank Sinatra and Steve McQueen. After 1963 his career never again reached his previous heights and he made fewer films and none with the quality of his great war and Western adventures. 'Ice Station Zebra' in 1968 with Rock Hudson and Ernest Borgnine was his best from this period, together with his final film, 'The Eagle Has Landed' in 1977, after which he retired. Sturges was renowned for single take filming and his motto was was "Take one for spontaneity". Actors such as Frank Sinatra, who disliked the chore of multiple takes, loved working with him. Sturges was married twice, firstly in 1945 to Dorothy Lynn Brooks. The couple had two children and divorced in 1945. His second wife was Katherine Helena Soules. They were married in 1984, the marriage ending with his death. John Sturges died of emphysema and a heart attack on August 18, 1992 in San Luis Obispo, California.